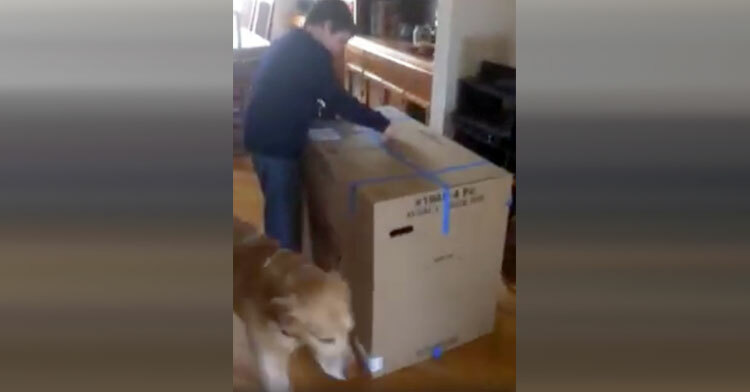 4th Grader Gets Huge Box From Military Brother With Sweetest Surprise Inside. Sometimes, big surprises come in BIG boxes. One gray February afternoon, nine-year-old Connor Dobbyn came home from school to find his mother, Jessica Poth, irritated with him. “Hey, why didn’t you tell me that Brad sent you something?” She asks the child as he ambles across the lawn towards their Cleveland, South Carolina home. 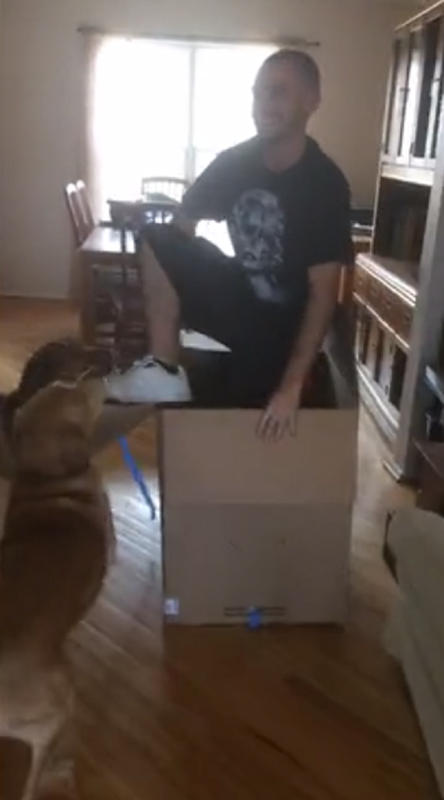 Connor is confused; his brother Brad, who has been stationed in Florida for Army training for the past few months, hadn’t told him to expect a package at all. Yet when the boy enters the house, he sees that his mom was right — there’s a huge cardboard box sitting there, and it’s got Connor’s name on it. 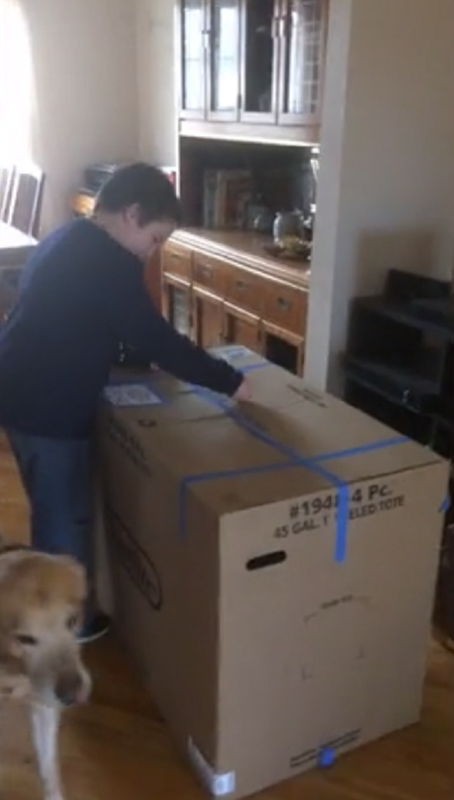 Tentatively, Connor starts to pick at the blue tape holding the box closed. Just as he’s started to get it open, a voice booms out of it. Connor jumps back, so startled that he even started to cuss (oops!). 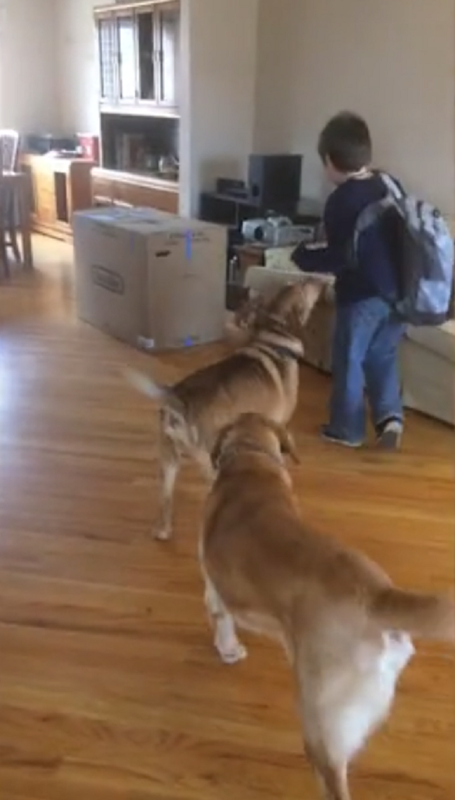 As Connor stands back in awe, the family’s two dogs start wagging their tails in recognition. Next thing you know, there’s Connor’s brother Brad Marek himself, in the flesh! Talk about the greatest gift ever! Connor couldn’t wait to give his big brother a gigantic hug! Brad refuses to stop holding the boy — it’s clear that they share a very special sibling bond that even time and distance could not weaken. 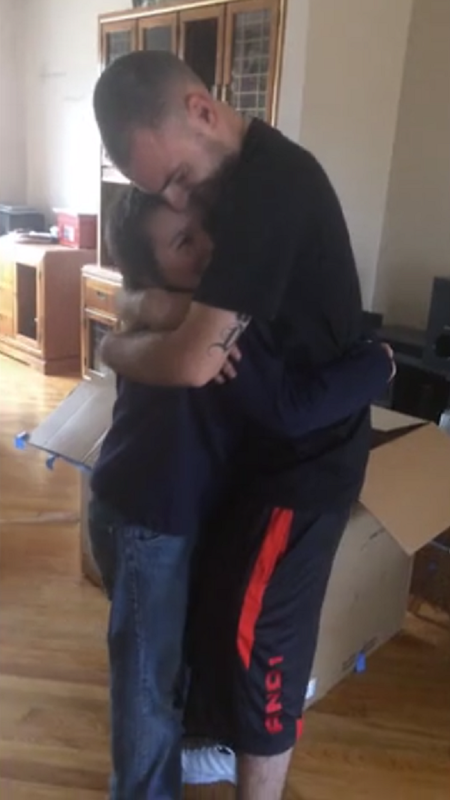 We’ve seen a lot of heartwarming military homecoming videos, but this one is so special. 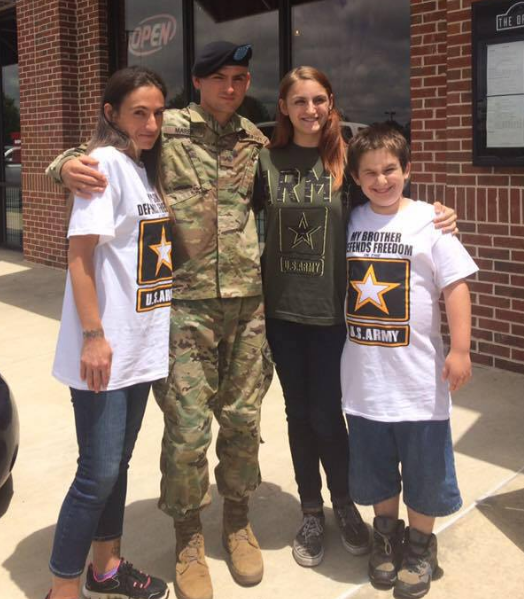 It’s wonderful to see a family this close, and the world could always use a few more great surprises for little boys. Welcome home, Brad! We hope you had a fabulous visit with your family. Thank you for serving! 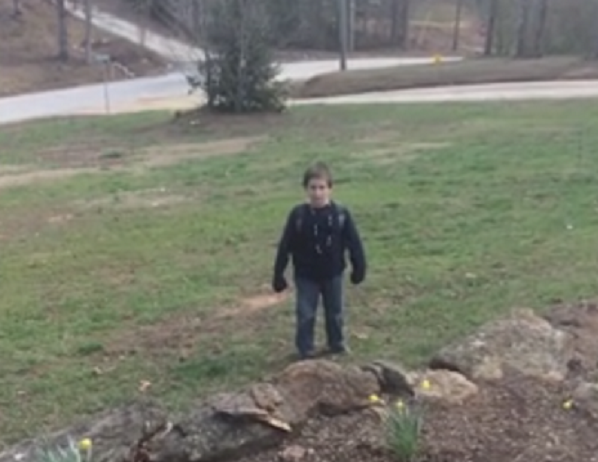 Watch this beautiful family moment below, and be sure to share!